When is a link NOT a persistent link? 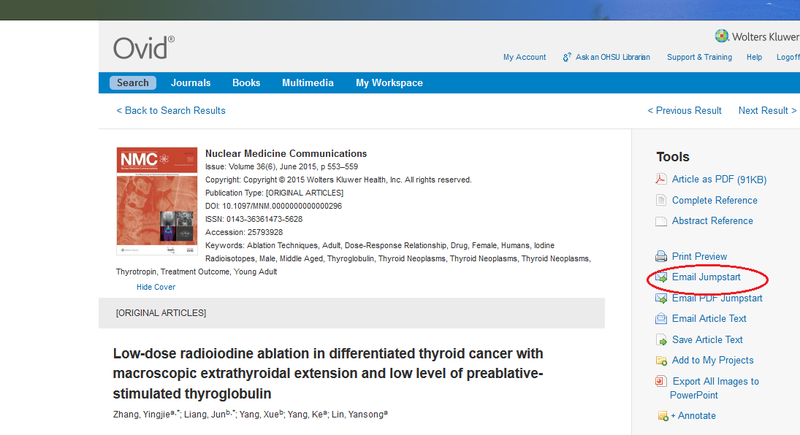 If you have searched in a database (PubMed, CINAHL, other) and found an article you want, there should be a blue/purple Find@OHSU Library button associated with that record. You should be brought into the OHSU Library catalog. Go to Step 2 below. Get into the OHSU Library catalog (link from top Library page or directly at http://librarysearch.ohsu.edu/). Paste the title of your desired article in the search box. 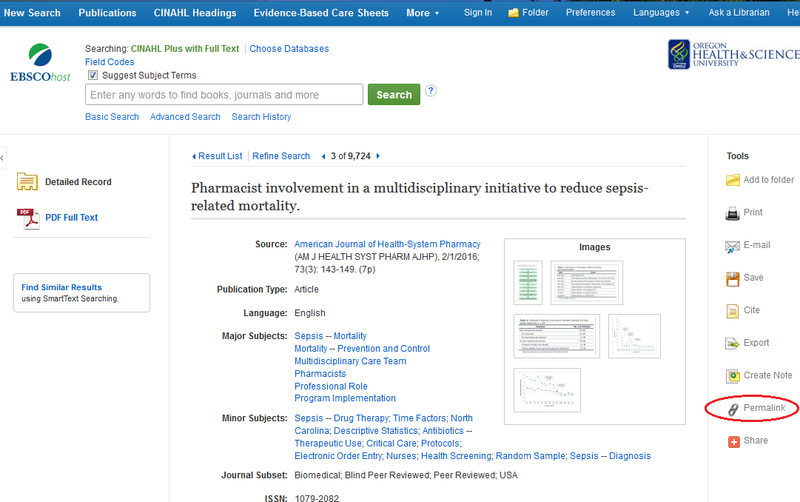 Change the drop-down menu from OHSU to Articles from selected databases and search. Theoretically the article you are seeking will show up. If so, click on the “Citation” icon and copy the citation. Paste the citation where you need to go point someone to that article (ex: your Sakai post or document). Options for obtaining persistent links to articles vary between databases. The most common options are described on this page. Many databases provide a persistent link creation tool. Common terms to look for are "permalink", "jumpstart", "copy link" and "embed link." These permalinks are usually located in the same area as the options to print, save, and email. In some databases the URL in the address bar is a persistent link. In these cases, the URL plus https://login.liboff.ohsu.edu/login?url= placed at the beginning can be used as a persistent link. DOIs are digital object identifiers. If a database provides a DOI for a full-text article in the item record, you can use it to make a persistent link. 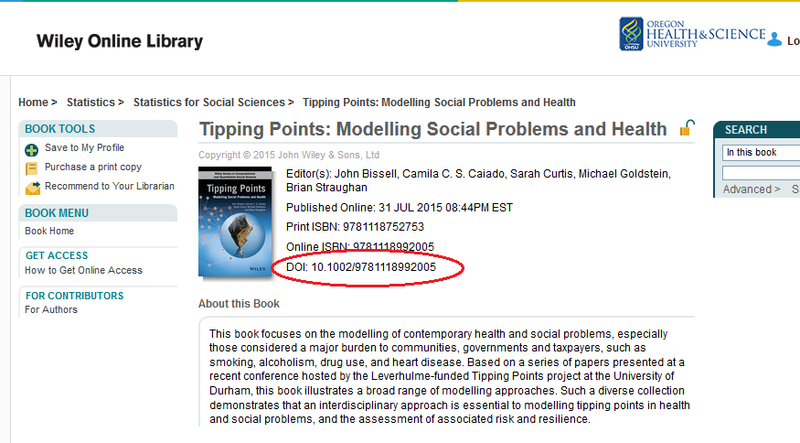 ScienceDirect and Wiley Online Library provide DOIs. Important: If the link does not begin with https://login.liboff.ohsu.edu/login?url= it must be added to the beginning of the link. This prefix allows access for off-campus users.